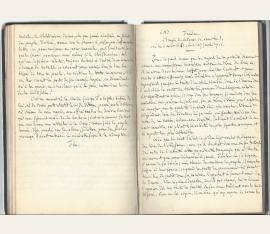 Schriftsteller, Dramatiker und Publizist, Herausgeber der "Gazette de France", 1826 in die Académie Française gewählt (1781-1857). Autograph manuscript. O. O. 2 Teile in 2 Bdn. Zus. ca 190 S. 21 x 14 cm. Strukturierte Pappbände d. Z. (Rücken fehlen). I. „Du Religionisme moderne. 1836. A imprimer après moi avec l'ouvrage intitulé: De la Réorganisation sociale, qu'il doit précéder.“ - II. „De la réorganisation sociale; servant d'appendice à l'ouvrage intitulé: Du réligionisme moderne. 1848. (imprimer cette date).“ – Apparently the complete autograph manuscript from both parts, with various improvements and pastings, especially in the second part. 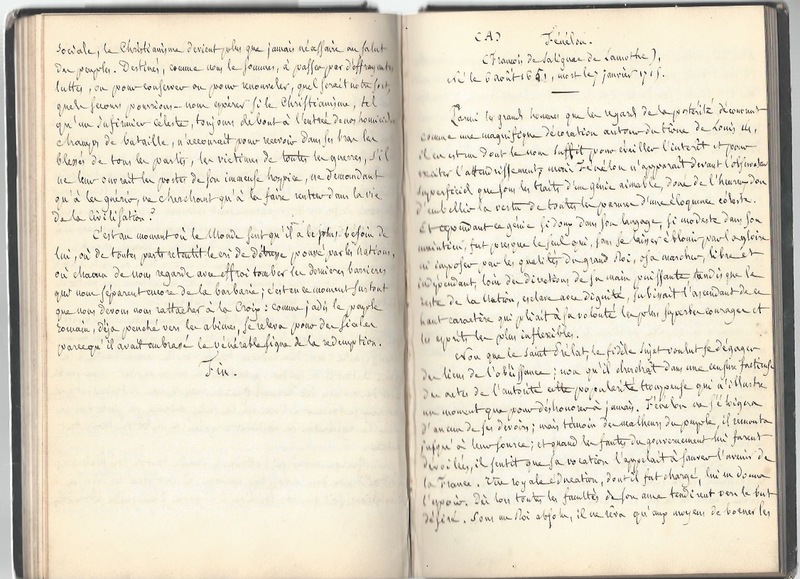 – Encloses a contemporary note by one „River“, telling about Brifaut’s instructions for the printing of the manuscript as well as his own activities in this matter. Brifaut’s religious and social-critical work is unrecorded in library catalogues internationally, and must therefore be considered as hitherto unpublished. – Charles Brifaut was the co-author of the libretto to Spontini’s opera “Olimpie”, and was elected to the Académie française in 1826..